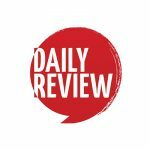 Australia's leading writers of stage and screen speak out against Copyright reform | Daily Review: Film, stage and music reviews, interviews and more. Fifty of Australia’s most significant playwrights and screenwriters have signed an open letter calling on the Federal Government to reject controversial changes to copyright law proposed by the Productivity Commission. The Productivity Commission intellectual property recommendations were released late last year and have been the subject of great protest from the creative community. Amongst the recommendations is a significant reduction in the term of copyright, and the introduction of a “fair use” exception for copyright infringement. The writers who have added their voice to the open letter include David Williamson, Andrew Bovell, Joanna Murray-Smith, Leah Purcell and Andrew Knight. Did you love Underbelly, Offspring, Rake, Emerald City, The Drover’s Wife, Red Dog, Away, Animal Kingdom or The Secret River? Or Strictly Ballroom, Neighbours, Happy Feet, Don’s Party, Muriel’s Wedding or Babe? As writers telling some of Australia’s best-loved stories across stage and screen, we the undersigned unanimously reject the Productivity Commission’s recommendations on copyright in Australia. The recommendations to relax copyright protections are straight out of the Big Tech playbook and will harm the ability of Australia’s home-grown writers to tell Australian stories and make a living. Australian writers have a right to receive fair payment for their work and to work in a thriving industry with the ability to invest in the Australian story-telling that entertains millions of people each week on stage and on screen. The changes to Australian copyright laws being pushed by the Productivity Commission, large organisations and big technology companies will threaten our jobs, the jobs of future writers, and the livelihood of our industry. Australian kids should be able to grow up inspired and entertained by our stories and our culture. However, these changes are a threat to the creation of Australian movies, TV shows and plays and mean it may be even harder to make a living for the next generation of writers, playwrights and screenwriters. At a time when jurisdictions around the world are reviewing the impact of major technology companies on cultural production, we call on the Australian Government and parliament to protect Australian stories and rule out the Productivity’s Commissions proposed changes. Australian creators need to be paid for their work. Just a comment from an ardent reader:.As someone who writes solely for pleasure I have no financial interest in this. The exact proposal for change and the end result isn’t clear to me. Someone should set that down so the public could understand. However years ago I delivered a well researched speech on the moral principle of rewarding intellectual rights. My basic point was to compare the development of a literary piece with the effort in manufacturing a tangible asset. My starting point was that possession of the first has a sunset date and the second is protected indefinitely. @Tom Price and @darren robinson. Neither of you have a clear understanding of the potential role of copyright payments to creators, let alone what the Productivity Commission is proposing. For example “(o)r are you just trying to protect some fantasy pay-scale that most people will never see in their whole lives ?” Well, Darren, there would be a very rare creative bird that gets $18 an hour–even rarer ones who earn a million in their lives, let alone become millionaires. Yes, intellectual property laws largely benefit powerful corporations, and there is a whole history behind that (take the Mickey Mouse changes to length of copyright to benefit Walt Disney, for example). However, this is no reason for removing the benefits of copyright to those less powerful. That’s why the Productivity Commission’s recommendations should be rejected as they do precisely the opposite: they weaken the rights of the less powerful and strengthen those of the most powerful in the arts and communications industries. At best a few of us get payments of a few hundred dollars a couple of times a year–while the intellectual property laws allow millions to be raked in by the big boys. And even the lowliest functionary inside the Productivity Commission earns far more than the average visual artist/musician/etc while they pontificate on high in their protected eyrie. “will harm”, “will threaten”, the usual alarmist nonsense from people who wish to protect their own privileged positions. this echoes the shrieks of protest from the big publishing companies whenever the prehistoric parallel importation legislation is reviewed. but none of these luminaries can ever explain HOW the harm will be done, and there is no attempt to do so in this letter. the history of copyright demonstrates very clearly that it has only ever protected the interests of large business interests and the already privileged. hopefully the recommendations will be pushed through and the industries will be forced to eliminate the bloated excesses of film and television production and the excessive salaries at the top end which those struggling to eke out a living are actually subsidising. Does anyone else detect the not-so-subtle hand of Galumphing George Brandis attempting to shore up his empire in The Yarts here? Would that be calculated at $18 per hour like real workers ? Or are you just trying to protect some fantasy pay-scale that most people will never see in their whole lives ? Let’s all shed a tear for the millionaires. Protect the intellectual rights of artists who are already exploited by internet hackers, this will further erode the rights of artists’ ownership of their work. Protect the blood, sweat and tears of artists’ passionate works. Protect the voices that make a difference in our land. Maintain vigorous copyright laws. I totally agree with the undersigned. Obviuosly the agenda by the Productivity Commission and Big Tech is to deliberately i fringe on the intellectual rights of creative artists and not be held accountable. Copyright must be defended vigourously otherwise, the true creative nature of current and future artists will be lost to those seeking to do nothing more than steal the intelligence and intellect by theft through watered down laws. Just who is the Productivity Commission working for ? Certainly not for the good of the many as seen by their recent decisions.